Dine with us and sample the culinary talents of our chefs within the elegant Mahogany Room with our very special Date Night Special. 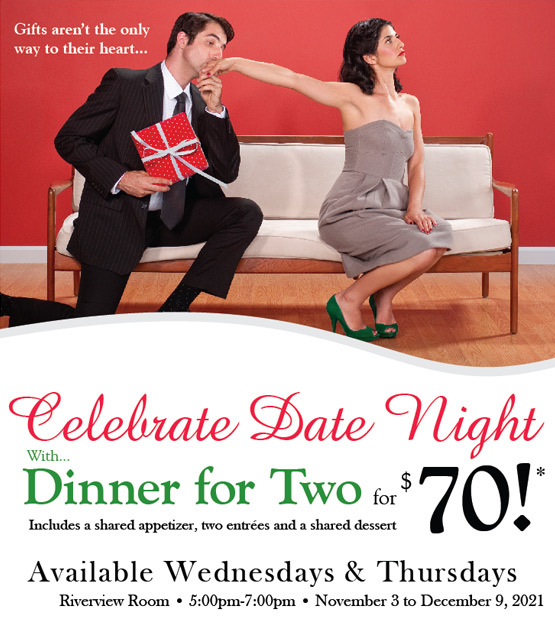 Click to view our Date Night Menu selection. Reservations required, please call 705-435-5501.